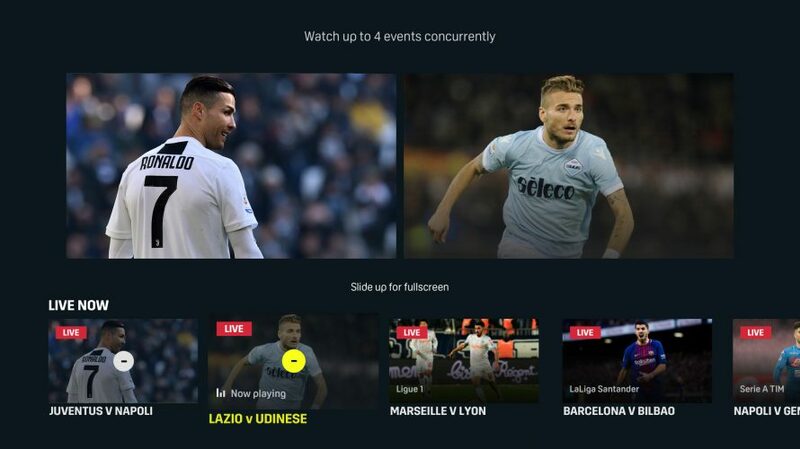 If you don’t want to miss anything in the sports world anymore, DAZN now offers four streams on your screen at the same time. DAZN now makes it possible to watch four events simultaneously on Apple TV. To feel like Elvis in his best days, just press the Apple TV remote longer and add new streams. A fourth or fifth generation Apple TV is needed. This feature is currently available in the USA, Canada, Japan, Italy, Germany, Austria and Switzerland, followed by Spain and Brazil. For all sports fans who want their eyes everywhere, DAZN now offers the right function.